With the beach on your doorstep this is the ideal place to enjoy a relaxing or action packed holiday. Whether it be reading a book or surfing (board provided), boogie boarding, building sandcastles or running on the beach that you are after - this is the perfect spot. The apartment is perfectly positioned for all day sun into the living/dining area and has recently been fully repainted, renovated and double-glazed. Watch the cruise ships heading in the harbour in the distance. It is close to Bayfair for those that enjoy a spot of retail therapy and the cafes, shops and walks of central Mount Maunganui are just 6km away. Having experienced the hustle and bustle of Mount central in the summer you can retreat to your little piece of peaceful paradise. The attractions of Rotorua are less than an hours' drive away. The kids will love the easy access directly to the beach but please be aware that it is not fully fenced. Spotlessly clean and fully equipped. Recently renovated and double-glazed. Awesome place I was very happy and safe. Fabulous location, and had everything we needed. Great beachfront apartment, has everything you could possibly need, well maintained and a lot of thought given to holidaying and family needs, absolutely perfect for a family. Many thanks Caroline! Fabulous location. All you need for a wonderful beach holiday is found at this flat. Couldn't have asked for a better host and a better place - 10/10! Wow! Great little apartment that had everything we needed. Wow! Great little apartment that had everything we needed. Comfortable, quiet, clean and tidy. Friendly neighbours. Ocean views from the lounge/ kitchen. 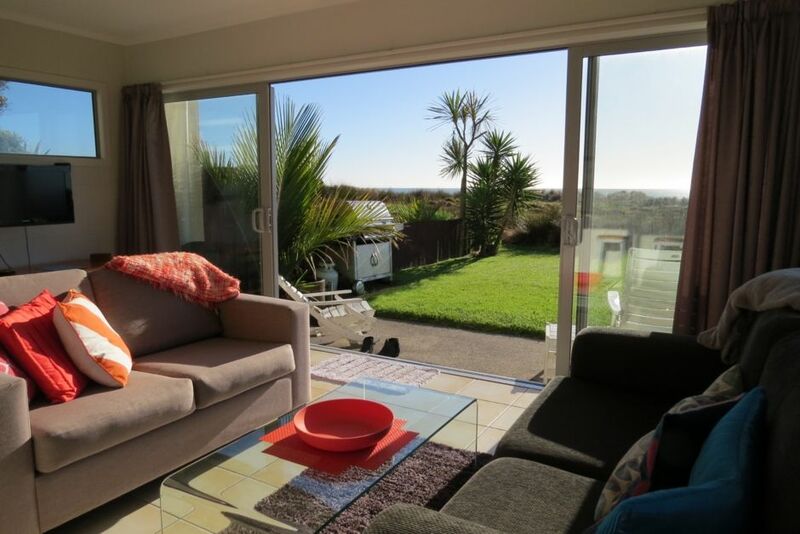 Awesome location, 2 min walk over the sand dune to the beach!! Short drive to Bayfair and Mount. Perfect for beach lovers. Would definitively go back! Thanks for a great stay!